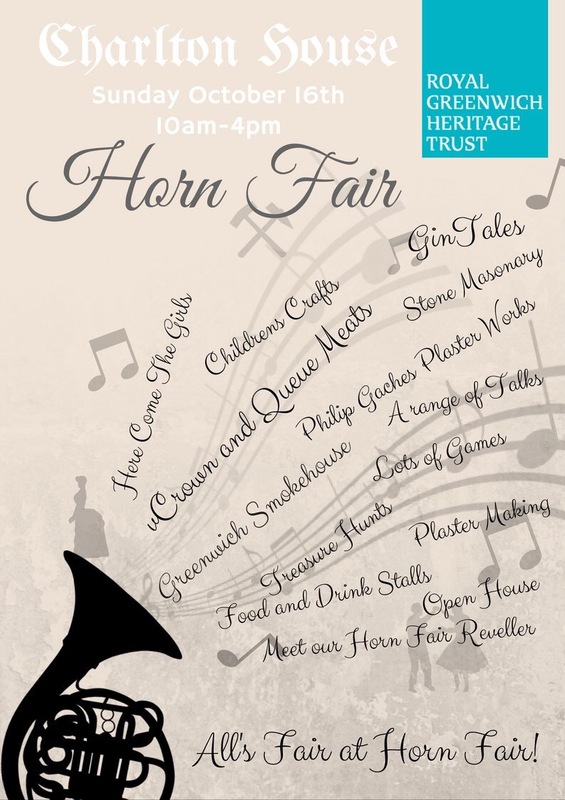 Charlton’s Horn Fair – banned for an excess of drunken behaviour in 1874 – is back for a second year in its new guise as a family-friendly, heritage-themed event run by Royal Greenwich Heritage Trust. Taking place at Charlton House on Sunday October 16th from 10am-4pm, the event promises: “…a day for all ages. With activities from Stone Masonry by the Building Crafts College, plaster workshops from Philip Gaches, and our very own WWI Nurse Ivy and Devoted Frank. Amongst all the music and revelry of the day come along and enjoy our range of short talks, food and drink treats, and lots of children’s activities that are on offer”.